Seymour Performers Workshop is very proud to be presenting its third One Act Play Festival. On Saturday 8th of September theatre companies from across the state will bring their most exciting work to our Seymour festival, representing the very best in community theatre making. It is our hope that the arts community and the theatre going public will appreciate the theatre form as much as we do and that the energy and enthusiasm of Festival Director, Brett Harvey, will again translate into this exciting and innovative annual event. Entry is open to theatre companies, schools and individuals; and performances can be one act plays or monologues. There are also youth categories plus some great cash prizes to be won! The entry pack is available here: Seymour One Act Play Festival Entry Info 2018. Entries close at 5pm Sunday 15 July. For further information contact Festival Director Brett Harvey on 0438 630 332 or email here. It’s that time of year again folks! The Annual SPW Trivia Extravaganza. Always a great night out with friends and family. Show off your trivia knowledge, win great prizes and help support SPW’s major fundraising event. Tickets are only $10pp. Call 0490 459 853 or email to make your booking. Save the date folks. Our One Act Play Festival is set to return to Seymour on Saturday 8 September 2018! Entry is open to theatre companies, schools and individuals; and performances can be one act plays or monologues. There are also youth categories plus some great cash prizes to be won! The entry pack will be available on the website in January 2018. For further information contact Festival Director Brett Harvey on 0438 630 332 or email here. For a full list of results go to: 2017 SOAP Festival Award Winners. On Saturday 29 July, 7.30pm @The Schoolhouse Theatre we’re hosting a Murder & Mystery Night. Help us solve the mysterious murder of Al Scapone in a night of intrigue, double crossing and plenty of laughs with your hosts Pamela Halligan and Ryan Smith. Book a table of up to 10 or individual seats. Tickets are only $20pp and include nibbles and supper. Drinks available on the night at bar prices – no BYO please. Places are limited so book your tickets now by calling 0490 459 853 or email info@spworkshop.org.au. 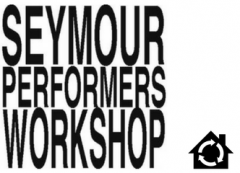 Seymour Performers Workshop is proud to host the One Act Play Festival on Saturday 9th & 10th of September. Theatre companies from across the state will bring their most exciting works to Seymour for a festival representing the very best in community theatre. One Act plays are to theatre what short stories are to writing. They are the art and the story distilled to its essence. The narrative must be tight, the action meaningful and characters created and presented with precision. Entries are now open for theatre companies, schools and individuals to be part of this fantastic showcase. Performances can be one act plays or monologues and there are also youth categories plus some great cash prizes to be won! Download an Information Pack here. Entries close at 5pm on Sunday 20th August 2017 For further information email info@spworkshop.org.au.